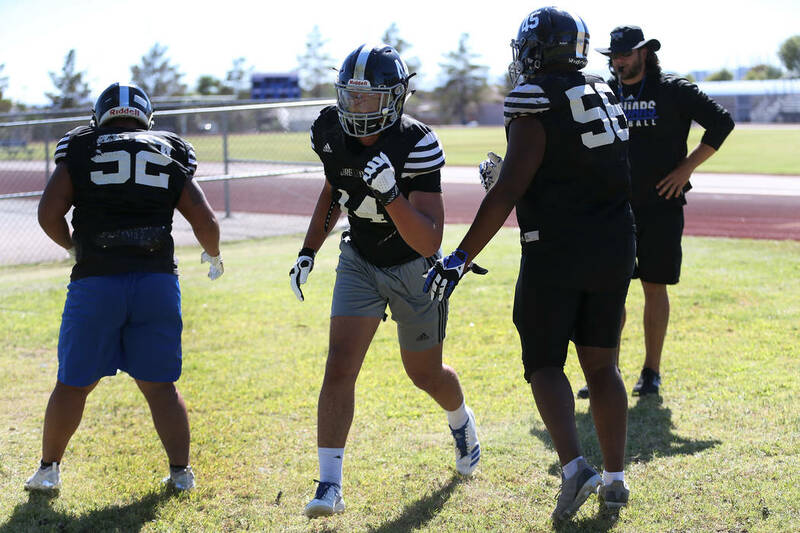 Gabriel Lopez and the Desert Pines defense will need to show their toughness as the fourth-ranked Jaguars (3-0) host No. 3 Liberty (1-2) at 7 p.m. Friday. 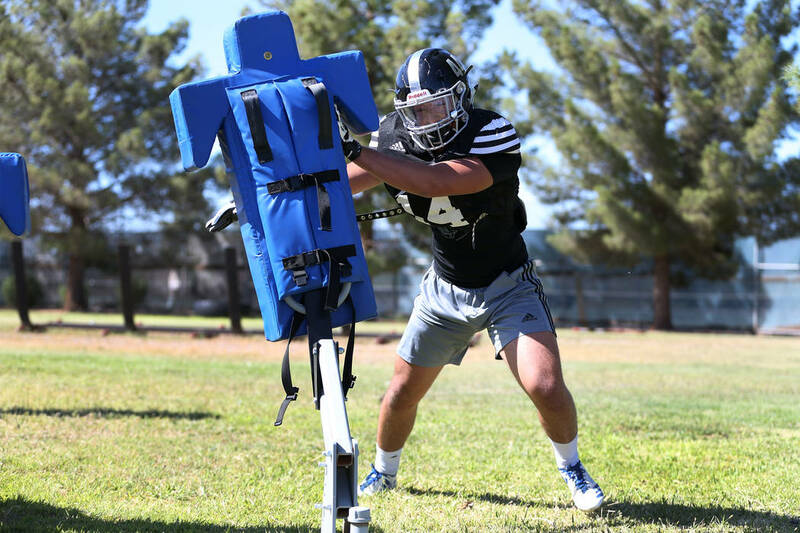 Gabriel Lopez isn’t the most imposing member of the Desert Pines defensive line. But there’s no doubt that the junior defensive end is the leader, not just of the line but the entire defense. Lopez and the defense will need to show their toughness as the fourth-ranked Jaguars (3-0) host No. 3 Liberty (1-2) at 7 p.m. Friday. 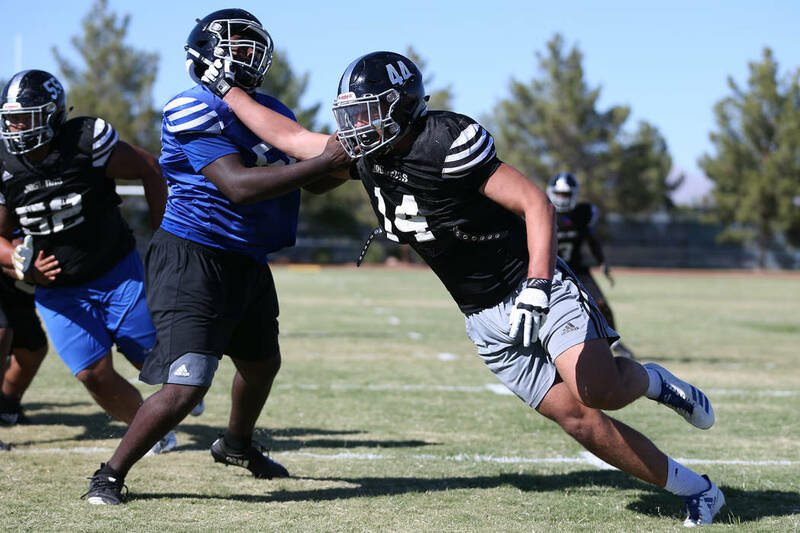 Lopez, a 6-foot-3-inch, 225-pound junior, will key a standout defensive line that includes big-time defensive end/tight end prospect Darnell Washington (6-7, 255). Washington might grab your attention, but Rodriguez said Lopez makes his defense go. Lopez leads the Jaguars with 27 tackles and six sacks, and has helped the defense allow just 40 points in three games. But he knows that slowing Liberty will be a much bigger task. 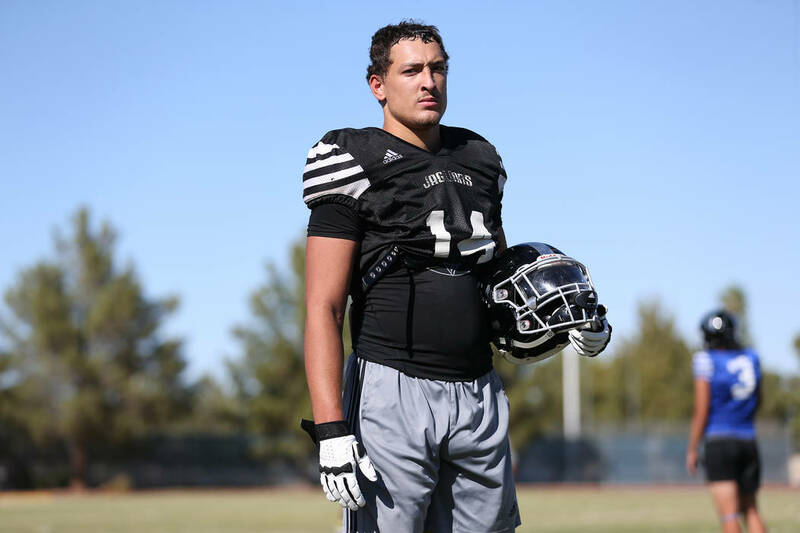 Liberty’s offense features two tackles who have committed to Division I schools in Troy Fautanu (Washington) and Brandon Yates (West Virginia). 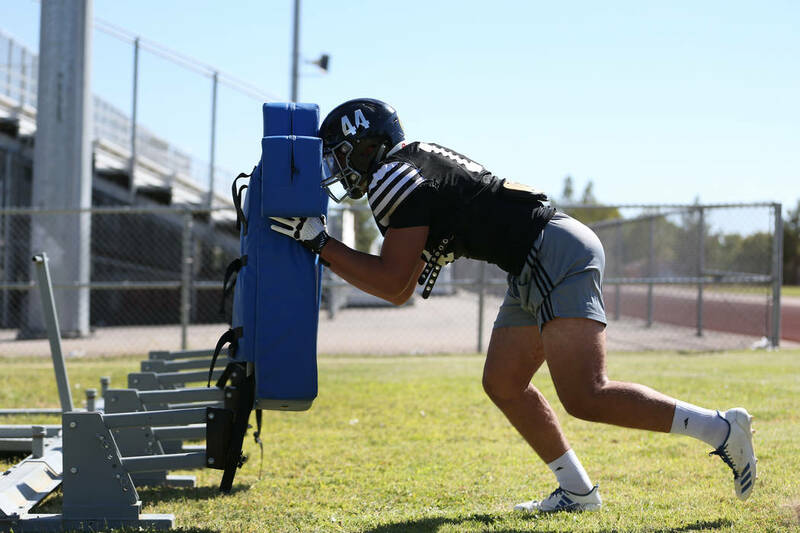 “We’ve just got to tighten down and play hard-nosed football, because they like to ram the ball down everybody’s throats,” said Lopez, who has a scholarship offer from Minnesota. “So if the D-line comes to play, we should be good. Desert Pines won the past two Class 3A state championships before moving to Class 4A this season. Rodriguez thinks his program is ready to compete at the state’s top level. The Jaguars will get that challenge against a team that has advanced to the 4A state title game three times since 2012. Sierra Vista at Desert Oasis — The Southwest League opener between the rival schools has the teams headed in different directions. The Diamondbacks are undefeated and have had two weeks off to prepare for the Mountain Lions. Sierra Vista has played a tough schedule and is 1-3. Shadow Ridge at Palo Verde — The Mustangs are 4-1, but they have faded down the stretch the last two seasons. They missed the playoffs both years, finishing just behind fourth-seeded Palo Verde. Las Vegas at Basic — The Wolves get back on the field this week after forfeiting their previous two games because of a fight against Clark. Las Vegas is looking to get back into the win column after consecutive losses.